We bring you a special Music Monday edition this week to celebrate my daughter’s 22nd birthday. 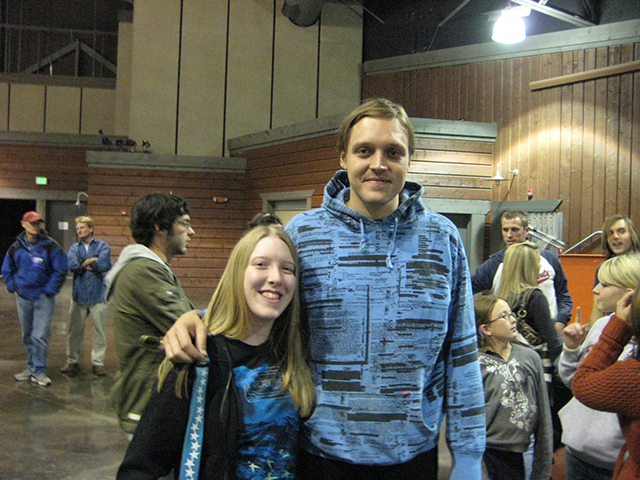 Back in September 2007, Tiffany and I went to see Arcade Fire and LCD Soundsystem in concert. It was the first time I saw both of the bands. 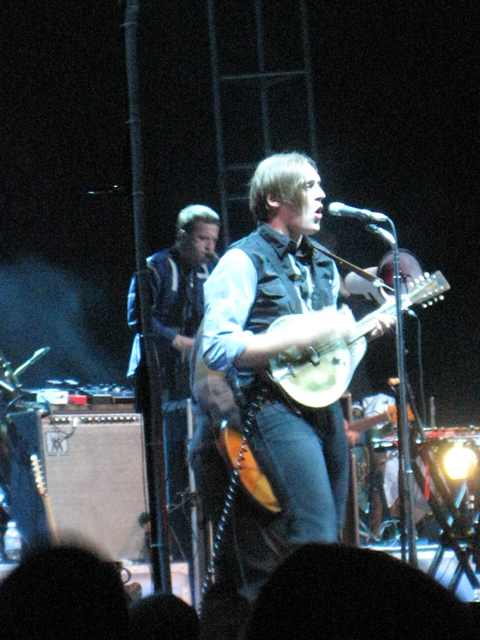 For Arcade Fire, they were touring after the release of their “Neon Bible” album. 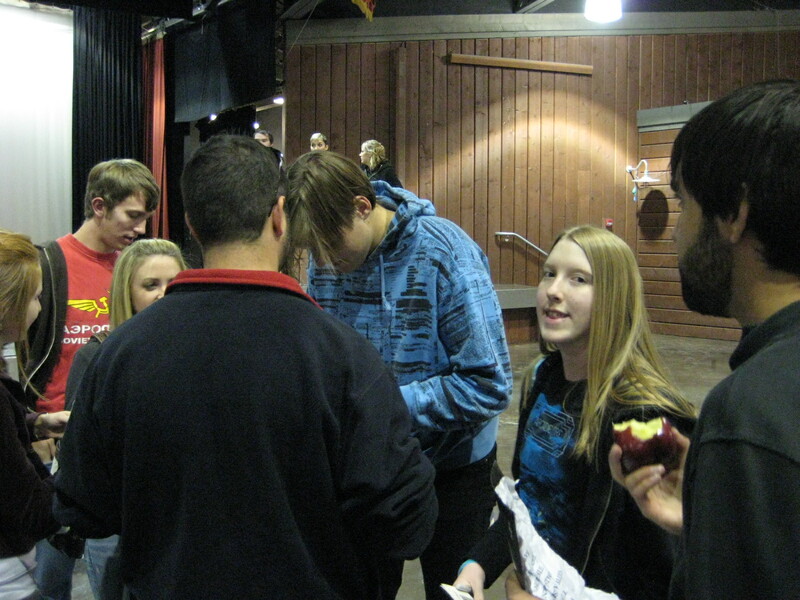 After the show, we hung around the area where the band would normally come out. After about 10 mins of waiting, we decided they might not be coming out. So we walked around the outdoor venue and to the other side of the parking lot. We saw a line of about 15 people and decided to see what was going on. Within a minute or two of waiting, someone came up and escorted all of us to the back side of the venue. We walked into this large hall and there was a table setup with food and other items. 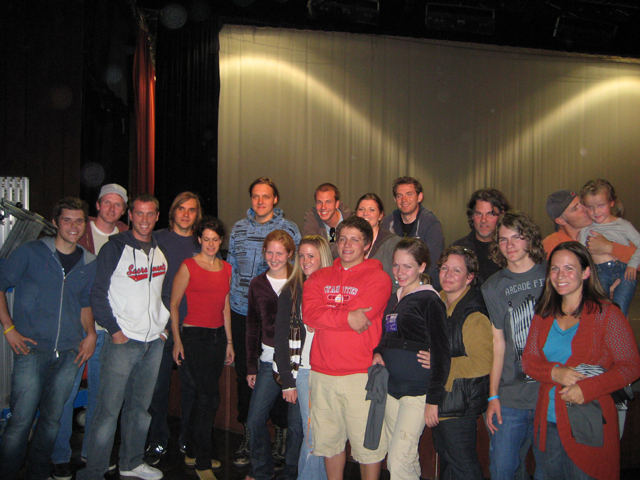 As it turned out, this was the meet and greet for the band. The first photo above is one of my favorite pictures/moments in my history of seeing concerts with my daughter [and we’ve seen a lot together] and it always brings a smile to my face. So with that shared moment in time, I wish my daughter Tiffany a very happy birthday today.